The 2020 edition of the Jerwood/FVU Awards offers an increased budget of £25,000 for each of the two commissioned moving image artworks. You can read all about the new theme for 2020 below. We will be open for applications from 11 February 2019, and you can find out how to apply on the FAQpage. ‘Hindsight is always 20/20’, said the great film director Billy Wilder – giving voice to a feeling, shared by many, that life, for all its mystery and complexity, would be so much more explicable and fulfilling if we had understood in the past what we are able to see all too clearly today. Instead, human beings are wise after the event. Enlightenment always arrives just that little bit too late. And as we look back, confronted by the choice of paths we have taken, we also note the ones we did not. It all makes for better self-knowledge, but often leaves us rueful, pondering how things could have turned out differently. Hindsight is a wonderful thing, some people say, usually meaning the opposite: dismissing retrospection as nothing but a pointless indulgence, the province of ‘if only’ and ‘what might have been’. 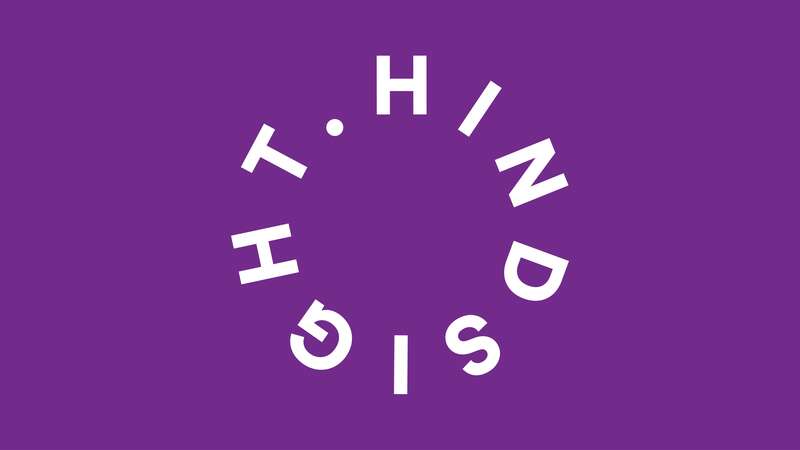 Yet ‘hindsight’, in its different interpretations, feels like a wonderfully appropriate theme for the 2020 Jerwood/FVU Awards. At what will be the start of a new decade, hoping to free itself from the shadow of recent turbulence and austerity, acknowledging past lessons (or mistakes) in pursuit of new alternatives may well become the order of the day. Objects in the rear-view mirror may still exert a disproportionate fascination, or, in some cases, be a source of continuing dismay or regret, but keeping them in vigilant focus can also be salutary and instructive. Looking back can be a prelude to moving forward. What people carry with them from the past can help to illuminate and determine the future. Hindsight may be 20/20, but foresight is always 50/50, as one wag who wasn’t Billy Wilder once said – meaning that while the past reveals itself in stark outlines, the future is uncertain and equivocal. But the best guide to what is coming can often be found in the present, and in earlier experiences and precedents. For that reason, we would like you to explore the contemporary significance of ‘hindsight’ in broad and imaginative ways, drawing on diverse inspirations, from the influence of history, from the lexicon of cultural memory, or from the back-story of immediate personal experience. Or your idea could revolve around a particular insight or observation; such as a reflection, for example, on how modern technological communication increasingly incorporates a review or overview function: scrolling you through a timeline, sending you back to a particular point in time, like the Facebook Memories feature, or directing you the beginning of an email thread. Hindsight is indeed a wonderful thing. We look forward to seeing what you make of it.